Effective communication is an essential element of instruction. An aviation instructor may possess a high level of technical knowledge, but he or she needs to cultivate the ability to communicate effectively in order to share this knowledge with students. 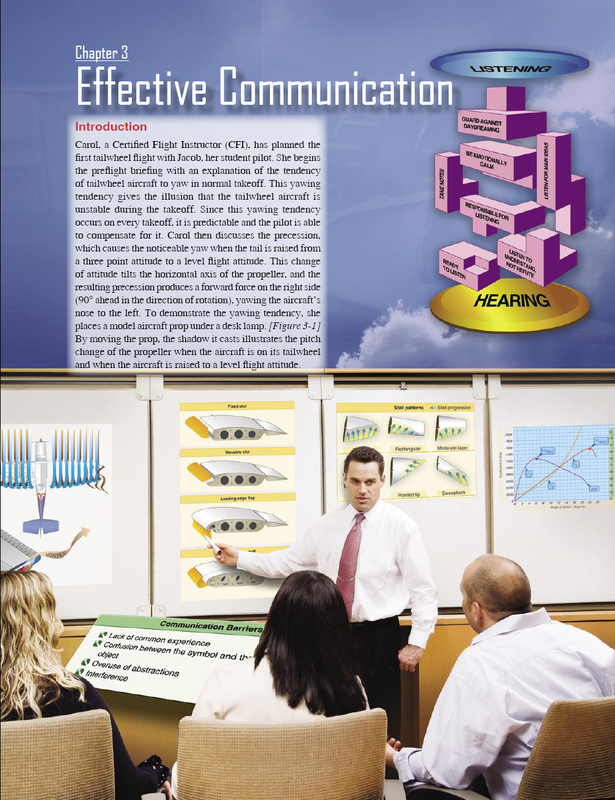 While communication is a complex process, aviation instructors need to develop a comfortable style of communication that meets the goal of passing on desired information to students. The elements of effective communication, the barriers to communication, and the development of communication skills are discussed in this chapter. It is also important to recognize that communication is a two-way process.